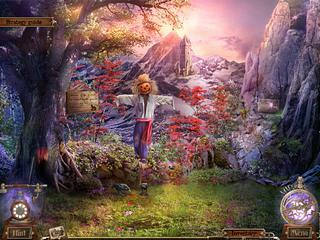 Detective Quest: The Crystal Slipper is a hidden object puzzle adventure game based on an old well known fairy tale. The game is a highly polished release with everything in place. Navigation works perfectly in this game. There's a map that takes you anywhere you need, which is very convenient. You play as a detective who was challenged to find a woman. Everything sounds pretty familiar and typical just like another detective story, right? The only thing is that all you have to find this woman is a cristal slipper. And the man that is searching is a prince from a faraway land. The game's audio-visual presentation is outstanding. All the locations are wonderfully drawn and render this fairytalish atmosphere. The sounds and music only add to this. The game play is very well thought through. 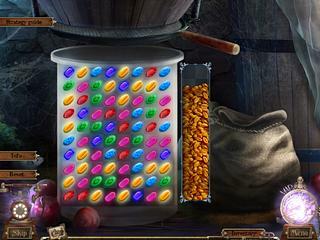 The hidden object levels are interactive and cluttered with just the right number of items to work with. The mini-games are quite challenging. The more experienced ones will appreciate them. Navigation works perfectly in this game. There's a map that takes you anywhere you need, which is very convenient. There are collectibles such as you are to take pictures of all the mysterious creatures that you meet, and you meet a lot of them, and they are interesting and fun to interact with. The game has all it takes to be great - really nice graphics, interesting story, and challenging tasks. This is Detective Quest: The Crystal Slipper review. Download this game here.